At Greenway Industries, we take pride in offering affordable, reliable paving services for New Milford residents. We are fully licensed and insured contractors that provide economical paving, asphalt and masonry services. help to sustain your home and businesses landscape. We are an environmentally friendly company, practicing sustainable paving by recycling asphalt, crushed brick and concrete. We’re here to make sure the New Milford area is offered high quality, eco-conscious, professional paving services. To learn more about our business, its services and what we can do for you, call today at 203-826-2551. Your home landscape matters to us at Greenway Industries. We want to make sure New Milford residents have the opportunity to work with an eco-conscious paving company. We construct and repair driveways, parking lots, pathways and more that are long lasting and durable. We understand aesthetics are important to homeowners as well, that’s why we have a cleaning crew dedicated to leaving your New Milford property spotless after the project is completed. 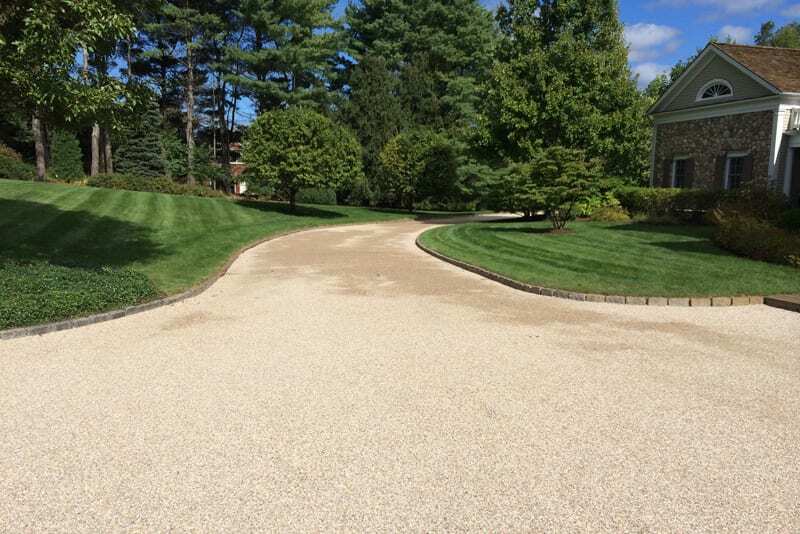 Are you thinking of an oil & stone driveway for your home or business in New Milford? At Greenway Industries, we provide full service installation of oil & stone. We’ll start by meeting with you, assessing your property, and helping you to determine if oil & stone is the right option. We’ll then take measurements of your driveway or parking lot, inspect the topography and provide you with an estimate. Our team strives to make the process and transition of your driveway smooth. We keep you in the loop, report alterations and confirm any major necessary changes prior to proceeding. 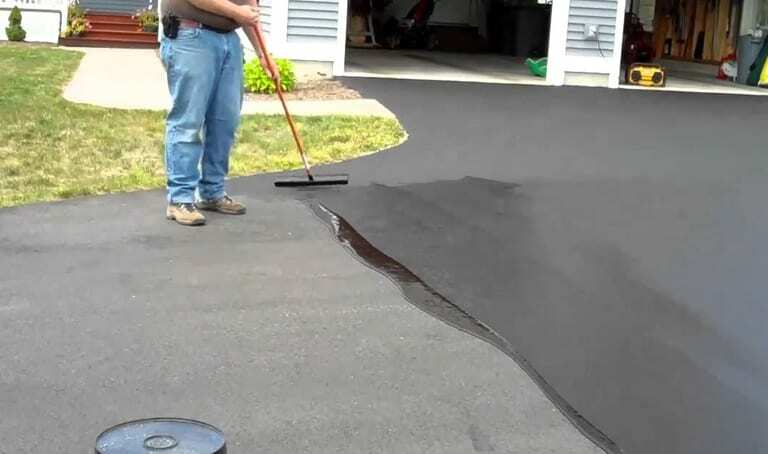 We offer the New Milford area infrared asphalt repair. Infrared technology melts the asphalt surface without breaking apart the existing structure. This allows for easy flow of asphalt into cracks and uneven surfaces. You’ll get a new durable driveways without the high-prices associated with re-paving. 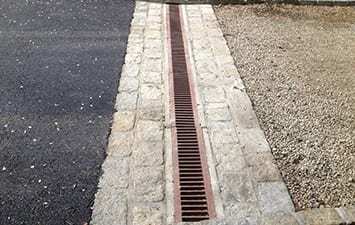 Our team can install drainage systems to both new and existing asphalt surfaces in the New Milford area. 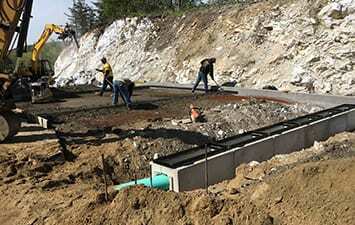 Drainage systems increase the longevity to your paved surface as it helps to prevent foundation damage, extensive cracks and the formation of black ice from access water. 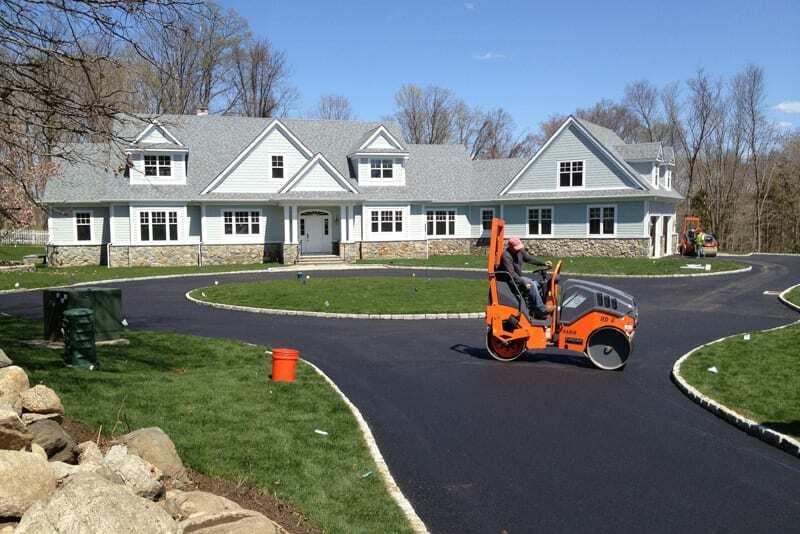 We offer professional, reliable, quality paving services to New Milford business owners. If you’re looking to install, update or maintain your driveway or parking lot, we can help. We recommend getting your properties paved areas checked once a year to avoid excessive damage resulting in even higher costs. This also helps to maintain the appearance of your landscape which ultimately reflects your business. To learn more about how we can help you in New Milford, call us today at 203-826-2551. Asphalt milling is an alternative surface repair method as it does not involve removing the entire base. 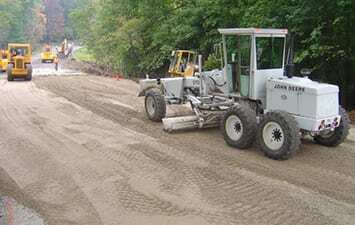 The top level of pavement is removed to allow for the installation of new pavement. Asphalt milling will give you a new, durable paved surface at an affordable price. Asphalt fine grading is an essential building block to a solid surface. Our licensed and experienced crew are trained to take care of the underlying surface so your pavement rests on a stable foundation. 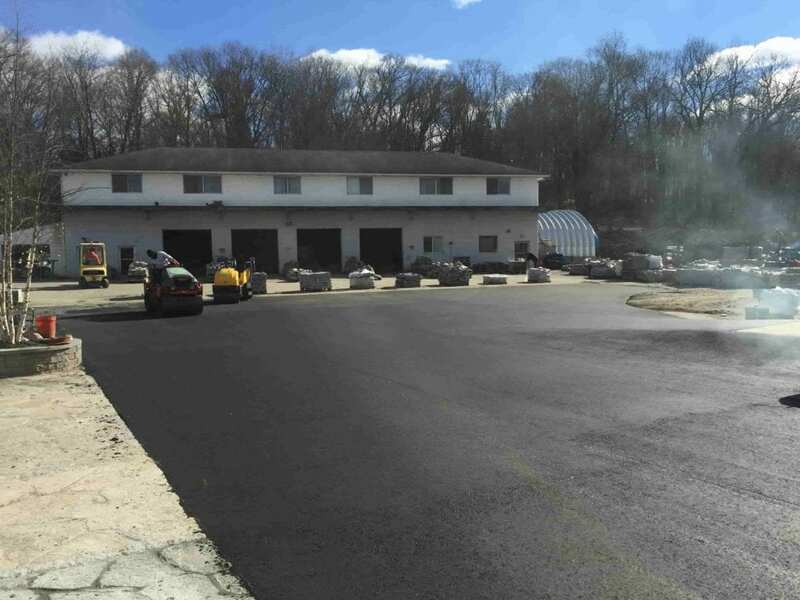 Let our crew at Greenway Industries take care of your fine grading needs in New Milford, CT.
Sealcoating and crack filling is a great way to re-patch your surface without repaving your entire driveway, parking lot or pathway. These methods include filling small cracks to preserve your surface and stay within your budget. Learn more below how we can help your New Milford home and business with these practices. Sealcoating has the ability to darken the entire surface to make the asphalt appear uniform. At the same time, sealcoating will repair your pavement and add a protective sealant. This gives you a clean look and a long lasting pavement job. Asphalt cracks will often freeze and unfreeze, causing pressure to push apart the cracks to open even wider. Left untreated, the cracks will continue to grow. Due to this, it’s important to repair the cracks as soon as possible to guard against further expansion. 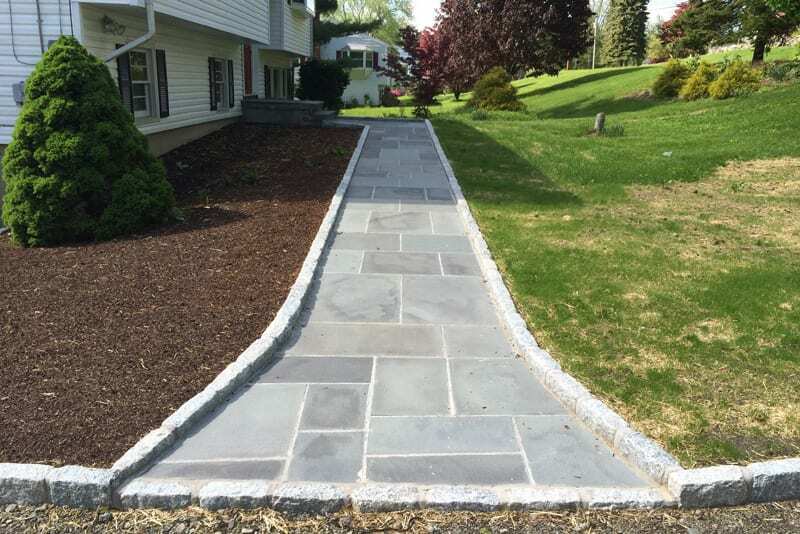 We offer professional masonry services to create beautiful stonework and appealing concrete surfaces for your New Milford home or business. 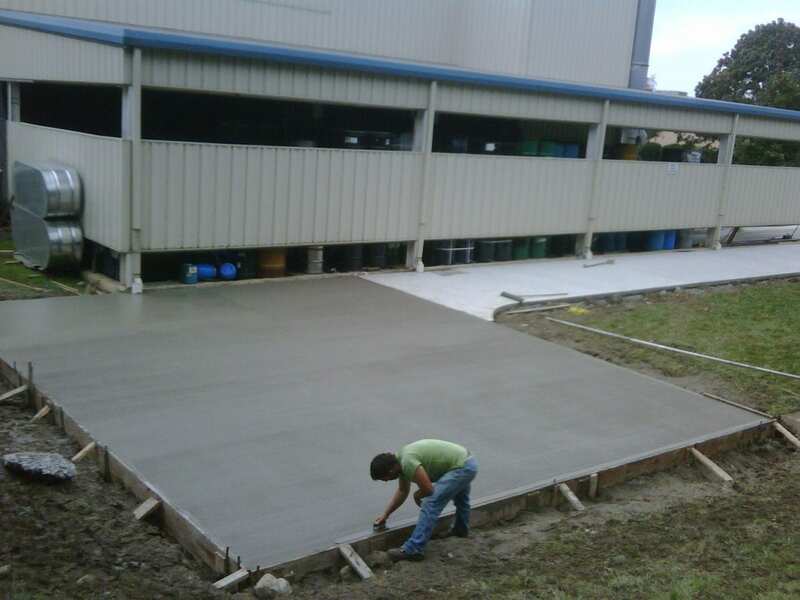 We also offer concrete flatwork to help build a solid foundation, or for another array of custom projects you’d like done. At Greenway Industries, we use only the highest quality materials and will work with you to customize designs for your needs. 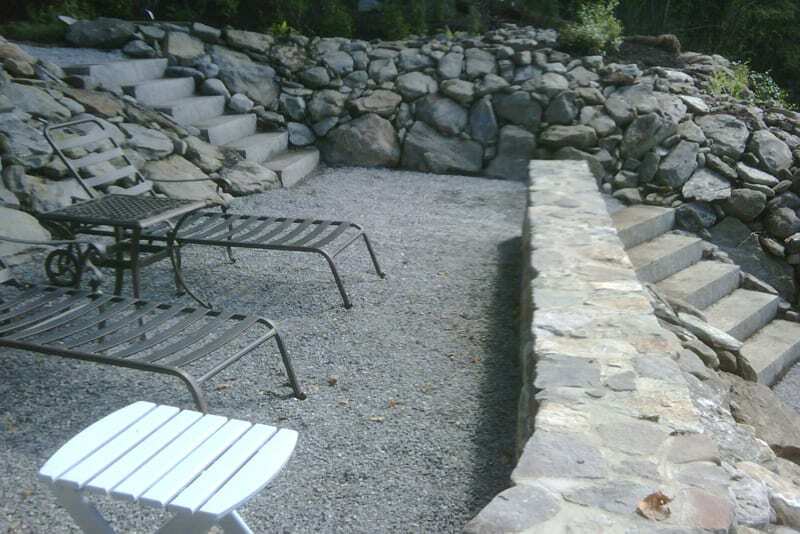 At Greenway Industries, we offer our New Milford residents expert masonry for stone walls, walkways, steps and more. Our design staff will work with you to create and build your vision. From the initial consultation to the final design, we’ll make sure you’re ideas are communicated and understood for your masonry project. From residential to commercial, we offer concrete flatwork for walkways, patios, and more. Our crew is fully equipped with years of experience to make sure your project gets done properly and efficiently. We are committed to ensuring our New Milford homeowners and business owners get the paving, asphalt repair and masonry services they deserve. We offer high quality and durable products to make sure your surface is built to withstand the natural conditions. As an eco-conscious company, you can rely on us for your masonry, residential paving/ commercial paving, oil & stone driveways, fine grading, and crack filling projects. We are fully licensed and insured to give you a peace of mind when coming to work for you. To learn more about how we can you in the New Milford area, contact us today at 203-826-2551.